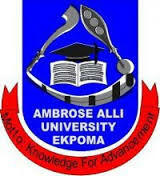 Ambrose Alli University (AAU), Ekpoma Registration and Admission Clearance Guidelines and Procedures for 2018/2019 Academic Session. This is to inform all admitted candidates that the processing of admissions for 2018/2019 academic session has since commenced. Consequently, all admitted candidates are to pay all relevant fees: acceptance fee and tuition fee to enable them obtain their matriculation numbers online. Check You AAU Admission Status. Students are advised to collect their University receipt for acceptance, tuition and hostel accommodation fees from the University faculty accountants attached to their Faculties. Clearance started: The clearance officer has sent you a message why you have not been cleared. To enter your correct details, Click ‘My Data’, —> Click ‘Clearance Data’, —>Click ‘Edit’, enter your correct details —> and click on ‘Save and request clearance’ at the bottom of the page.